Sterling Silver Bali Beads. 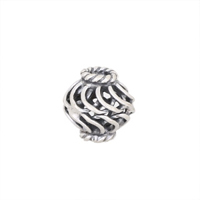 Each bead measures approximately 8.8x8.3mm. Hole is 2mm.